Helping architect one of the most heavily traced blueprints within the alternative metal (or as the media dubbed ‘nu metal’) movement of the late nineties, Beatdust caught up with DJ Product@1969 aka Doug Boyce to talk about the 20th anniversary of (hed)PE’s stunning major label debut and his artwork that perfectly personified the music within. 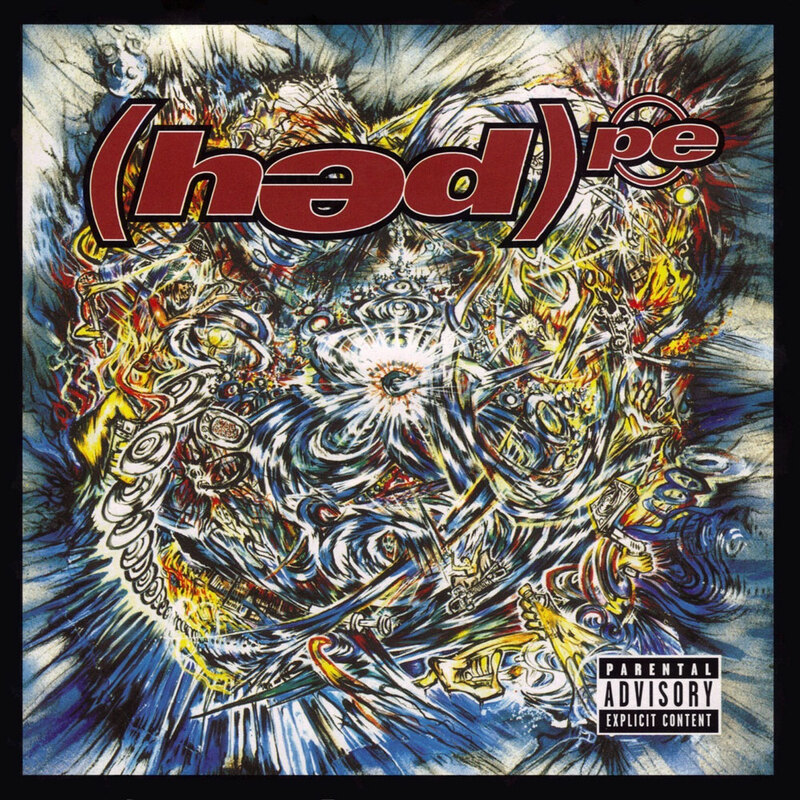 In 1997, (hed)PE did something many strive to do and so few ever achieve. Despite helping evolve the genre that less talented bands would imitate with greater success, with the Self Titled debut the band created a Frankenstein monster of sound, taking the best parts of other styles and making it their own. Spring boarding the anarchic music to the masses was the rampageous cover art drawn up by the band’s turntablist – DJ Product@1969. 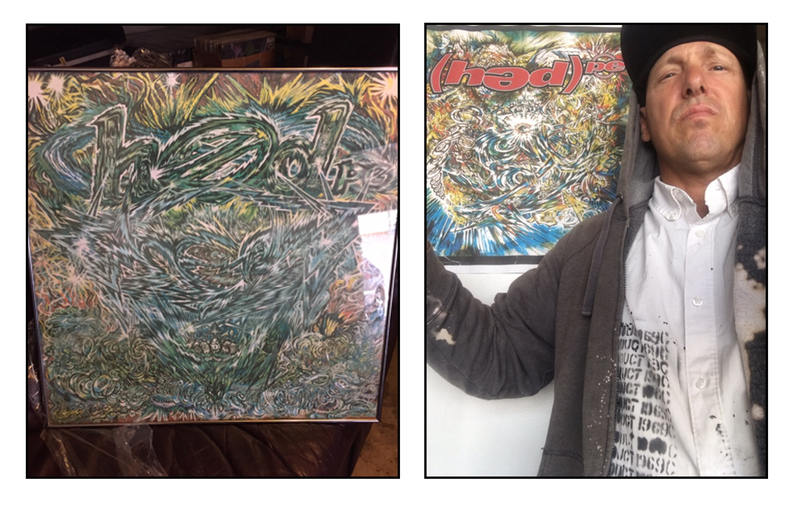 He continues “the original piece is 24X24″ on cardboard media, [& I used] pencil, acrylic and spaypaint. It was executed very quickly, there was our manager Ray Anderson (r.i.p) who was looking over my shoulder cracking the whip on me as he was getting pressure from the label. It literally was turned in as the paint was still drying. 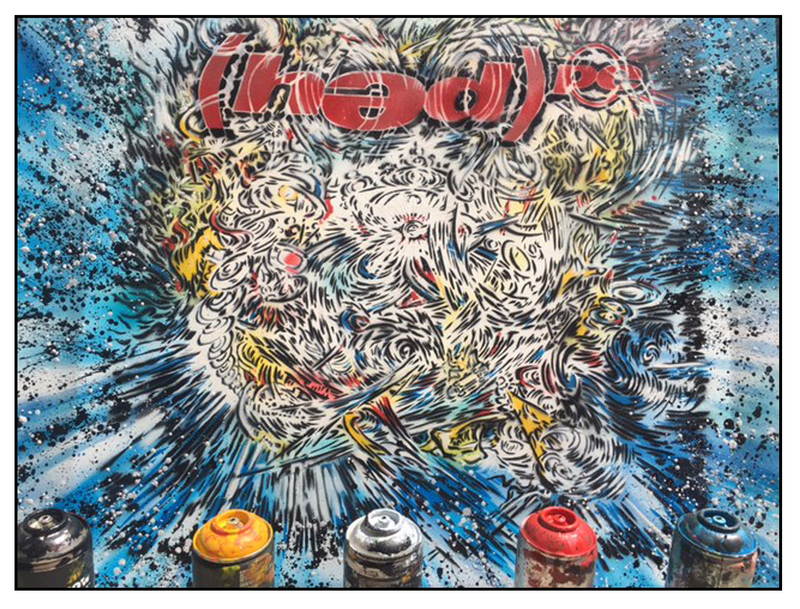 The Ball of Chaos artwork is dripping in spectacular stream of conscious shapes and scribbles. Impressive as a whole, it is the intricate details within the piece that really highlight Product’s technical skills as a artist. Small, elaborate building blocks are molded together with surgical precision to form a voltron of visual aesthetics. Turntables, spraypaint, spliffs and shootouts are all essential elements of not only the artwork, but also the music within the release.